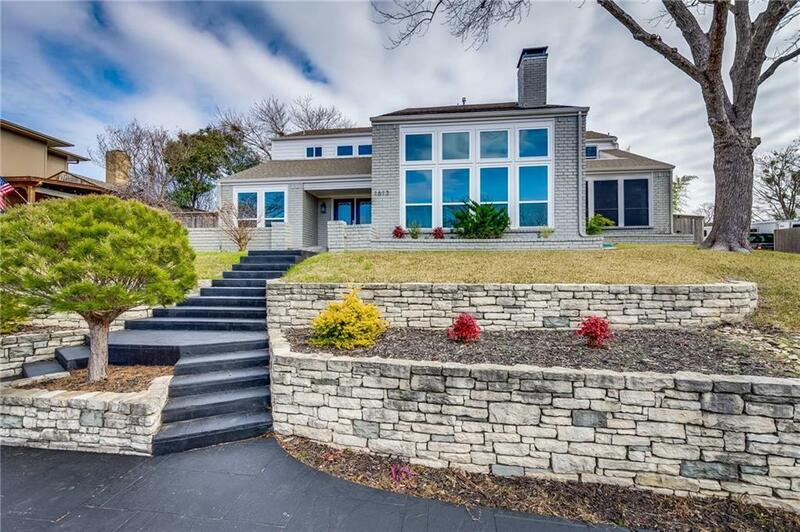 Beautifully updated home with pool in established neighborhood close to the lake. Wonderful drive up with circle drive. Tons of character throughout featuring engineered hardwood floors, Italian porcelain tile, vaulted ceilings, & decorative lighting. Living room with floor-to-ceiling fireplace & wall of windows allowing natural light in. Kitchen offers quartz counters, slow-close cabinets & new Whirlpool stainless steel appliances, including double ovens. Master has quartz counters with dual sinks, garden tub, walk-in shower & his & her closets. Versatile plan offers 2nd master with attached bath. Huge sunroom with view to pool. Gated driveway for privacy. Additional updates include new roof, new low-e windows, 2 new 14 SEER AC units & more!